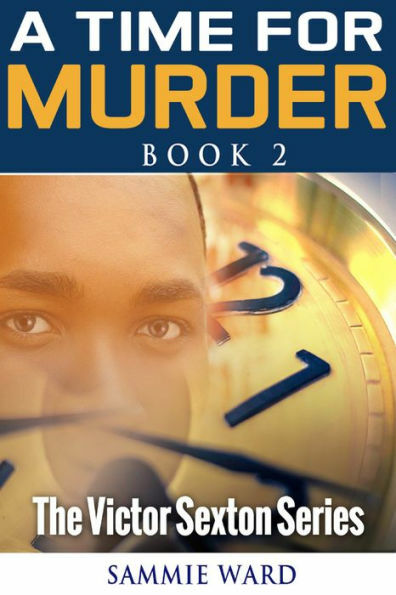 *A Time For Murder (The Victor Sexton Series) Book 2 (Murder Mystery Deal of the Day, Sponsor) by Sammie Ward. Price: $3.99. 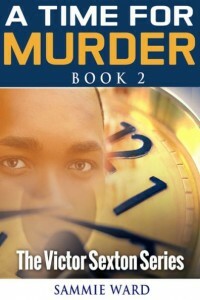 Genre: Murder Mystery Deal of the Day, Sponsor. Rated 5 stars on 1 review. 150 pages. Smashwords version! ASIN: B07LGGYBYJ. 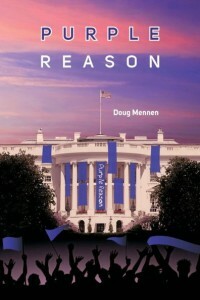 **Purple Reason (Paperback) (Suspense Thriller Deal of the Day, Sponsor, Great Characters in a Great Plot) by Doug Mennen. Price: $16.99. Genre: Suspense Thriller Deal of the Day, Sponsor, Great Characters in a Great Plot. Rated 4.7 stars on 74 review. ASIN: B01M3QF0QI. 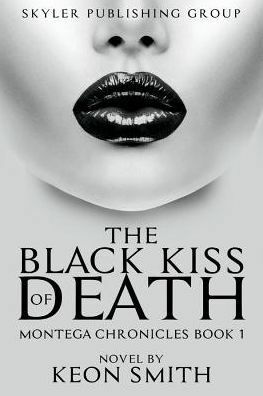 *The Black Kiss of Death: Montega Chronicles Book 1 (Paperback) (Crime Thriller Deal of the Day, Sponsor, LA Gang Warfare between Cartels and Organized Crime Syndicates, A Daughter must prove she is worthy of her Father) by Keon Smith. Price: $15.00. Genre: Crime Thriller Deal of the Day, Sponsor, LA Gang Warfare between Cartels and Organized Crime Syndicates, A Daughter must prove she is worthy of her Father. Rated 4.8 stars on 31 review. ASIN: B07H44XQHB. *King Me (Contemporary Romance Deal of the Day, Sponsor, She’s haunted by darkness from a terrible past that all the rum in the world cannot chase away, He has a connection with the world of voodoo that she’s trying to break into) by Season Vining. Price: $2.99. Genre: Contemporary Romance Deal of the Day, Sponsor, She’s haunted by darkness from a terrible past that all the rum in the world cannot chase away, He has a connection with the world of voodoo that she’s trying to break into. Rated 5 stars on 16 review. ASIN: B07L8GR4WM. *Cadence Untouched (Romance Deal of the Day, Sponsor, Two people who aren’t supposed to fall for each other, who are supposed to know they have no hope of a future together) by Dakota Willink. Price: $3.99. Genre: Romance Deal of the Day, Sponsor, Two people who aren’t supposed to fall for each other, who are supposed to know they have no hope of a future together. Rated 4.5 stars on 23 review. Paperback version! ASIN: B07K9L1RH1. * Strings: A Rockstar Romance thriller (The Black Eagles Series Book 1) (Paperback) (Romance Deal of the Day, Sponsor, She appears to have it all, A savage attack shatters her perfect world and their lives are plunged into a potentially deadly crisis) by Kat Green. Price: $12.00. Genre: Romance Deal of the Day, Sponsor, She appears to have it all, A savage attack shatters her perfect world and their lives are plunged into a potentially deadly crisis. Rated 4.5 stars on 49 review. 369 pages. ASIN: B00KZ6DO8O. *Beyond Risk (Romance Deal of the Day, Sponsor, Charming, Exciting and thoughtful Read) by Connie Mann. Price: $7.49. Genre: Romance Deal of the Day, Sponsor, Charming, Exciting and thoughtful Read. Rated 4 stars on 23 review. Paperback version! ASIN: B07GC4KXSM. *Lasso (LoveStorm Romance) (African American Romance Deal of the Day, Sponsor, Cowboy Romance) by Sammie Ward. Price: $2.99. Genre: African American Romance Deal of the Day, Sponsor, Cowboy Romance. Rated 4.7 stars on 5 review. Paperback version! or Smashwords version! ASIN: B07FDQT1P8. *Dreaming of Dray: Billionaire Dray Royce Series #1 (Paperback) (Steamy Billionaire Romance Deal of the Day, Sponsor, A Billionaire searching for a Wife, Does she have a chance) by Sheila Murdock. Price: $9.99. Genre: Steamy Billionaire Romance Deal of the Day, Sponsor, A Billionaire searching for a Wife, Does she have a chance. Rated 4 stars on 2 review. 265 pages. ASIN: B07HMGT19T. *The Chauvinist’s Guide to Modern Romance (Adult Fiction Deal of the Day, Sponsor, A Humorous look at Sexual Politics, Fun Adult Images, The absolutely wrong guide for young men) by Morris Rollins. Price: $2.99. Genre: Adult Fiction Deal of the Day, Sponsor, A Humorous look at Sexual Politics, Fun Adult Images, The absolutely wrong guide for young men. Rated 5 stars on 2 review. 65 pages. ASIN: B07B7CDFHN. *The Corpse Whisperer (An Allie Nighthawk Mystery Book 1) (Supernatural Mystery Deal of the Day, Sponsor, the Zombie population spikes, A zombie hunter must figure out why) by H.R. Boldwood. Price: $0.99. Genre: Supernatural Mystery Deal of the Day, Sponsor, the Zombie population spikes, A zombie hunter must figure out why. Rated 4.9 stars on 16 review. 344 pages. ASIN: B07HHFC3RS. *** Luthecker (Mystery with Great Twists of the Day, Sponsor, Fast Paced Great read) by Keith Domingue. Price: $0. Genre: Mystery with Great Twists of the Day, Sponsor, Fast Paced Great read. Rated 4.5 stars on 160 review. 360 pages. ASIN: B0764DGYC4. *The 40 Day Fire: Burning Away All That Does Not Resemble Your Destiny (Christian Living Deal of the Day, Sponsor, Stay Focused and Motivated, Get the Push you need to Embrace Your Destiny) by Jason C. Johnson Sr., Tiffany D. Johnson. Price: $2.99. Genre: Christian Living Deal of the Day, Sponsor, Stay Focused and Motivated, Get the Push you need to Embrace Your Destiny. Rated 5 stars on 3 review. 150 pages. ASIN: B07MHB6JJP. ***First Lessons: A Strong Woman in the Middle Ages (A Medieval Tale Book 1) (Paperback) (Historical Fantasy Deal of the Day, Sponsor, If you like Outlander, Medieval Historical Fantasy) by Lina J. Potter, Elizabeth Adams (Translator). Price: $12.00. Genre: Historical Fantasy Deal of the Day, Sponsor, If you like Outlander, Medieval Historical Fantasy. Rated 4.1 stars on 156 review. 290 pages. ASIN: B079318YMX. **Ruby’s Fire (A Fireseed book, #2) (Fantasy Romance Deal of the Day, Sponsor, USA Today Bestselling Author) by Catherine Stine. Price: $2.99. Genre: Fantasy Romance Deal of the Day, Sponsor, USA Today Bestselling Author. Rated 4.6 stars on 42 review. 297 pages. Paperback version! ASIN: B00DDW84HS. *Eden at the Edge of Midnight (Dark Fantasy Deal of the Day, Sponsor, A Need for a Champion to Save its People from Poison that Cloaks the Land) by John Kerry. Price: $2.99. Genre: Dark Fantasy Deal of the Day, Sponsor, A Need for a Champion to Save its People from Poison that Cloaks the Land. Rated 4.1 stars on 31 review. 390 pages. Paperback version! ASIN: B009WG274A. *Forever: The Autobiography of Peter Pan & Confessions of Tinkerbell (Paperback) (Fantasy for All Ages Deal of the Day, Sponsor, A Fairy Girl Becomes an Adult in an Instant, Peter Pan) by Rob Brockman. Price: $15.57. Genre: Fantasy for All Ages Deal of the Day, Sponsor, A Fairy Girl Becomes an Adult in an Instant, Peter Pan. Rated 5 stars on 1 review. 449 pages. ASIN: B07CWCBJ7C. *Fury: An Urban Fantasy & Mystery (The Fae Awakening Book 1) (Fantasy Deal of the Day, Sponsor, An urban fantasy story with intense action, mystery, thrills, and surprises) by Will O’Shire. Price: $0.99. Genre: Fantasy Deal of the Day, Sponsor, An urban fantasy story with intense action, mystery, thrills, and surprises. Rated 4.4 stars on 12 review. 153 pages. ASIN: B07KYXXS8V. ***A Star Curiously Singing (DarkTrench Saga, #1) (Science Fiction of the Day, Sponsor, Sandfly is trapped, if he solves the mystery, he may doom himself, If he fixes the robot, he may shatter his world) by Kerry Nietz. Price: $0. Genre: Science Fiction of the Day, Sponsor, Sandfly is trapped, if he solves the mystery, he may doom himself, If he fixes the robot, he may shatter his world. Rated 4.5 stars on 171 review. 253 pages. ASIN: B01A2R1RIO. *An Uncommon Folk Rhapsody (Historical Fiction Deal of the Day, Sponsor, American Civil War) by C.J. Heigelmann, Terrie M Scott. Price: $0.99. Genre: Historical Fiction Deal of the Day, Sponsor, American Civil War. Rated 4.6 stars on 26 review. ASIN: B077QB1RNN. *MY CELL PHONE CAN THINK: A Textbook on Artificial Intelligence (Paperback) (Children’s Book Deal of the Day, Sponsor, Fun to Read Book on AI, Connection of Human Brain and AI) by Michiro Negishi. Price: $29.99. Genre: Children’s Book Deal of the Day, Sponsor, Fun to Read Book on AI, Connection of Human Brain and AI. Rated 5 stars on 3 review. 146 pages. ASIN: B07JBHWCVC. *Nothing to Lose (The Blackbridge Series, #4) (Women’s Fiction Deal of the Day, Sponsor, A Police Sgt uses his assignment to a case to protect the women he Loves, But his affection can’t keep her from being a suspect or a target) by Claire Boston. Price: $3.99. Genre: Women’s Fiction Deal of the Day, Sponsor, A Police Sgt uses his assignment to a case to protect the women he Loves, But his affection can’t keep her from being a suspect or a target. Rated 5 stars on 1 review. 220 pages. Paperback version! ASIN: B07LC32N8D. *Rebooting Humanity: A Call to Awareness (Non Fiction How To Deal of the Day, Sponsor, How to Work Together, How Humanity and AI Beings can co exist and prosper) by E.A. Kennedy. Price: $6.99. Genre: Non Fiction How To Deal of the Day, Sponsor, How to Work Together, How Humanity and AI Beings can co exist and prosper. Rated 5 stars on 1 review. 264 pages. ASIN: B07J9N9X52. *Cover Stories (Volume 1: Sinners & Beginners) (Non Fiction Deal of the Day, Sponsor, Songs written as Stories) by Richard Easter. Price: $0.99. Genre: Non Fiction Deal of the Day, Sponsor, Songs written as Stories. Rated 5 stars on 7 review. 345 pages. ASIN: B07J554RRR. *Live True: A Mindfulness Guide to Authenticity (Non Fiction Deal of the Day, Sponsor, Vividly Illustrated Guide to Mindfulness, How to Live in the Present Moment. How to Be Authentic and Honest) by Ora Nadrich, PhD Ronald A. Alexander (Foreword by). Price: $17.95. Genre: Non Fiction Deal of the Day, Sponsor, Vividly Illustrated Guide to Mindfulness, How to Live in the Present Moment. How to Be Authentic and Honest. Rated 5 stars on 45 review. ISBN: 0578432102. *90 Days to Live: Beating Cancer When Modern Medicine Offers No Hope (Nonfiction Deal of the Day, Sponsor, Undeniable courage & determination of the will to live, Beating Cancer) by Rodney Stamps. Price: $9.99. Genre: Nonfiction Deal of the Day, Sponsor, Undeniable courage & determination of the will to live, Beating Cancer. Rated 5 stars on 12 review. 270 pages. Paperback version! ASIN: B07MFT4H8Q. *Logitica: Improve Your Critical Thinking and Problem Solving Skills: The Brain Behind the Brain (Self Improvement Non Fiction Deal of the Day, Sponsor, Guide to Improve Your Mental Skills, Improve Your Analytical Thinking and Your Problem Solving) by Neelabh Kumar. Price: $23.49. Genre: Self Improvement Non Fiction Deal of the Day, Sponsor, Guide to Improve Your Mental Skills, Improve Your Analytical Thinking and Your Problem Solving. Rated 4 stars on 1 review. ASIN: B07MFLYBB4. *The Quadity (Paperback) (Nonfiction Deal of the Day, Sponsor, Well Written Book with a fantastic message, Acknowledging fear while focusing on love, Innumerable dimensions of God) by Jacob I. Pfeiffer. Price: $8.99. Genre: Nonfiction Deal of the Day, Sponsor, Well Written Book with a fantastic message, Acknowledging fear while focusing on love, Innumerable dimensions of God. Rated 4.9 stars on 33 review. 141 pages. ASIN: B01MZEAI53. *The King and Mrs. Simpson: The True Story of the Commoner Who Captured the Heart of a King (Nonfiction Deal of the Day, Sponsor, All the elements of scandal, intrigue, Royal Biographies) by Erin Schulz. Price: $4.49. Genre: Nonfiction Deal of the Day, Sponsor, All the elements of scandal, intrigue, Royal Biographies. Rated 4 stars on 28 review. 142 pages. ASIN: B001CJ9SHO. *Just Do It! : A 10 Day Mental Detox (Non Fiction Deal of the Day, Sponsor, History, History of Human Beings) by Tiffany D. Johnson. Price: $2.99. Genre: Non Fiction Deal of the Day, Sponsor, History, History of Human Beings. Rated 5 stars on 6 review. 33 pages. Available in various formats! ASIN: B07MH33NWR. *Organizing Your Home with SORT and SUCCEED (Nonfiction Deal of the Day, Sponsor, Easy to follow daily kitchen cleaning checklist, Organize and Declutter your Kitchen) by Darla DeMorrow. Price: $4.99. Genre: Nonfiction Deal of the Day, Sponsor, Easy to follow daily kitchen cleaning checklist, Organize and Declutter your Kitchen. Rated 4.9 stars on 29 review. 84 pages. ASIN: B07JGBKCDQ. *SECRETS To HEALTH: Exploring The Secrets To a Healthy DIET and Lifestyle, Inspired by the Ancient ESSENES (Health and Fitness Non Fiction Deal of the Day, Sponsor, A Revolutionized Mindset of Life, Discover the Power of Good Diet and Nutrition) by Florence Mabwa. Price: $9.49. Genre: Health and Fitness Non Fiction Deal of the Day, Sponsor, A Revolutionized Mindset of Life, Discover the Power of Good Diet and Nutrition. Rated 5 stars on 1 review. 289 pages. Paperback version! ASIN: B07LB8BN36. *Re-Inventing Our Lives: A Handbook for Socio-Economic “Problem-Solving” (Business Non Fiction Deal of the Day, Sponsor, Learn by Social Involvement, Learn by Experience, Create Life Breakthroughs, Socio Economic Solutions to Challenges you face in your life) by Mohamed Buheji. Price: $4.49. Genre: Business Non Fiction Deal of the Day, Sponsor, Learn by Social Involvement, Learn by Experience, Create Life Breakthroughs, Socio Economic Solutions to Challenges you face in your life. Rated 5 stars on 1 review. 578 pages. Paperback version! ASIN: B07L4H95R4. *The Passive Income Guide: What is your return on life? (Business and Savings Nonfiction Deal of the Day, Sponsor, What is Passive Income Real Estate Investing) by John Larson, Keith Weinhold. Price: $1.99. Genre: Business and Savings Nonfiction Deal of the Day, Sponsor, What is Passive Income Real Estate Investing. Rated 5 stars on 2 review. 66 pages. Paperback version! ASIN: B07GV3ZY1Y.